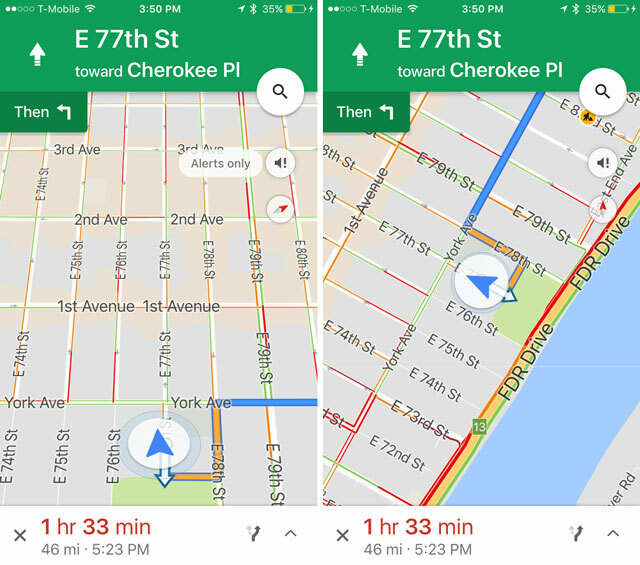 Google Maps has evolved a lot over the years, making the jump from our computers to our phones and adding a ton of cool features along the way. In fact, there are so many that we're sharing our favorite features, along with some hidden tips and tricks. When you get in the car for a road trip, you rarely go straight to your destination without stopping. You'll need to stop for lunch or gas or a bathroom break or a detour to visit a cool roadside attraction. Once you program in your destination, it's easy to add stops along the way. 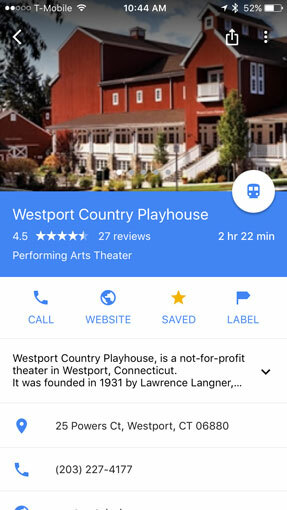 For stops after you've started your trip, you can tap the search icon and choose from “Gas stations,” “Grocery stores,” "Restaurants," "Coffee shops" or to search. If you want to check the traffic in your area, you need to turn on "traffic" by tapping on the diamond-shaped layers icon on your smartphone app or by selecting the menu button (three bars) on your desktop. For computers, you'll see a box with "Live traffic" and an upside down triangle. Select the triangle and you can choose "Typical traffic" to see what traffic will be like later in the day or week. Are you all spun around? Not sure whether you’re supposed to make a right turn or a left because you don’t know what direction you’re facing? Stop wondering – a quick tap of the compass in the top right corner of the screen while navigating will shift the map to face the same direction you are. Tap the compass again to switch back to the more traditional (but less useful) “North is up” view. Need to find your seat in a large stadium or navigate to your favorite store at the mall or find your way out of a casino? 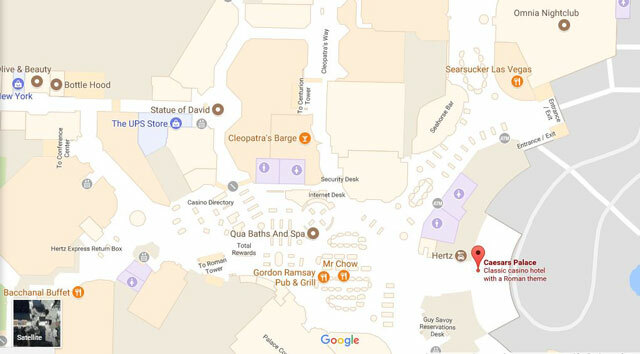 You'll find maps of some venues, including All of America, Madison Square Garden and Caesars Palace in Las Vegas, in Google Maps. 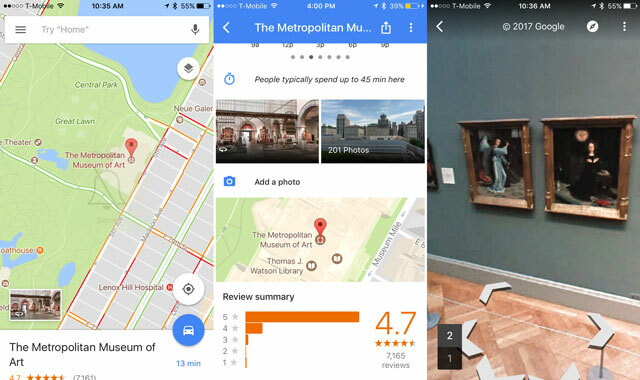 Did you know that Google Maps not only shows you how to get around while driving our nation’s interstates and city streets but also while you're inside buildings like famous art museums, airports, and your local gym as well? When you look up a location, on the map, you'll see a photo with a 360-degree icon. Tap the icon and you can view rooms inside and even walk within a space. (Try it with the Metropolitan Museum of Art in New York City.) You can also quickly access a Street View of the exterior of the building the same way – great for when you’re trying to drive to an unfamiliar destination. In many cities, mass transit trains don’t run all night – they stop running shortly after bars close. This can be a tough trip to plan if you need to make a transfer along the way. 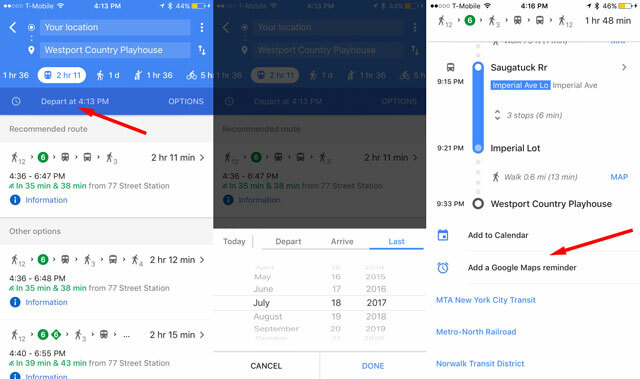 Fortunately, if you type your destination into Google Maps, choose the train icon, then “Depart at...” and then choose “Last” and “Done,” the app will show you the last trains and buses that get you where you need to go. You can even set a reminder to take the last train. Want quick access to all the locations you frequent most often, or just want to save information about a store or restaurant to review later? 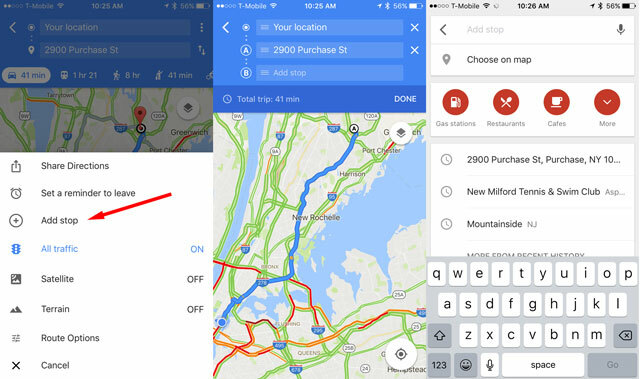 Maps lets you set Favorites by tapping the star icon. This will save the location directly to the map as an easy-to-find star. You can also save your home and work addresses to Google Maps to save time. 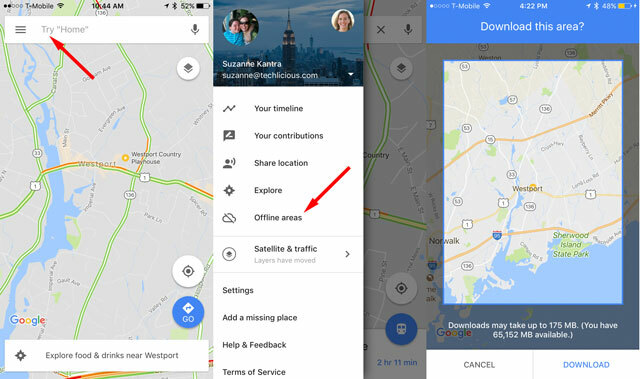 Open the left side menu inside the app, then choose “Your Places.” This information interfaces with Google Now, allowing it to serve up real-time traffic updates to your phone before leaving for work in the morning. If you’re traveling through the woods, mountains or desert, there’s a good chance your phone will lose its data signal from time to time. Unfortunately, no signal means no maps – real bad news if you’re not familiar with the remote area through which you’re traveling. Heading out for a day of winter sports and adventure? Google Maps now features a wealth of ski and hiking trail maps for a number of major destinations including Snowbird, Big Sur and Yosemite. 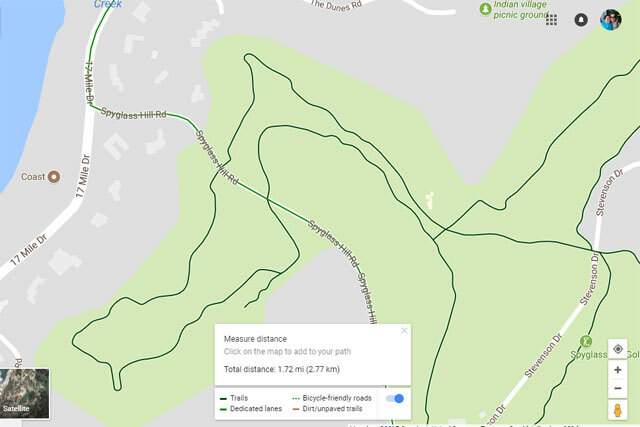 Just type your favorite resort into Google Maps and zoom in to see the different trails. Don’t forget to save the maps for offline use with “OK Maps” before you go! Looking to save a couple dollars on your next drive? 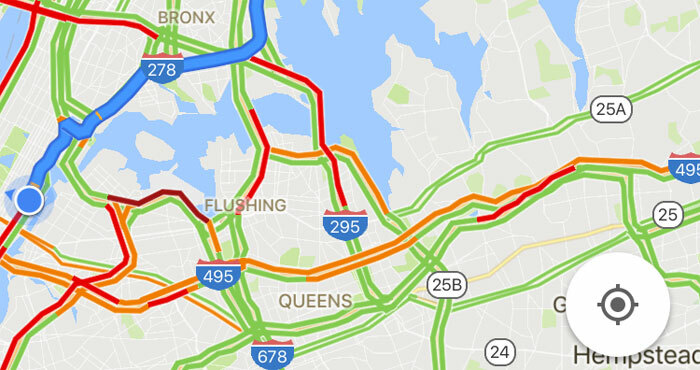 Instead of taking a costly toll road or bridge, you can tell Google Maps to only show you free access routes. 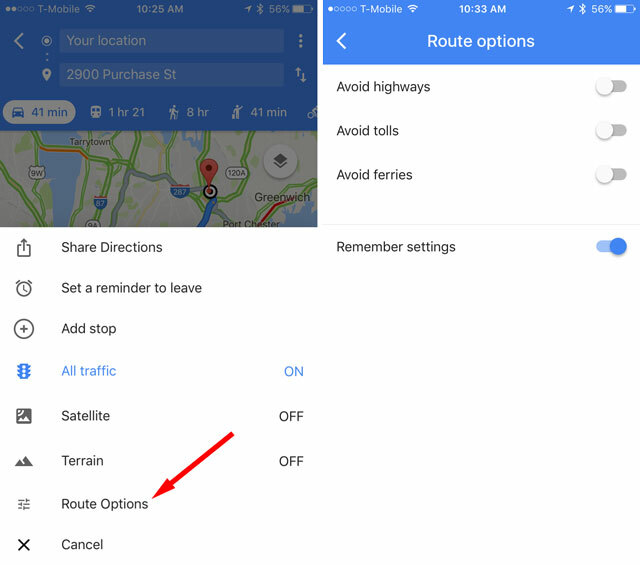 Just tap “Route Options” while searching for directions and toggle “tolls” off. Be careful, though: This could add a lot of miles to your trip! 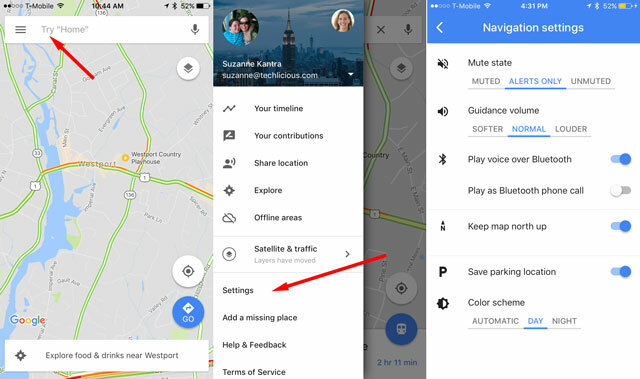 If you've paired your phone to make and receive calls in your car, you can also get navigation guidance. Go to menu (the three bars), then select "Settings," then "Navigation settings" and then turn on " "Play as Bluetooth phone call." Want to know how far back the fence is on the ball field or calculate your run through the park? 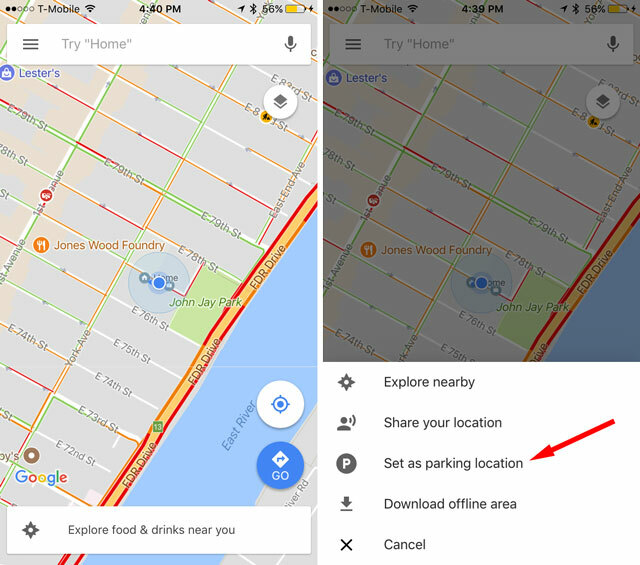 On the desktop and Android versions of Google Maps, you can select a point by right clicking or pressing and holding, and then select "Measure distance" from the menu. Add at least one more point, and you'll see the distance. When you arrive at your destination, select the little blue dot that represents your location, and you can select "Set as parking location." For Android users, you can also leave a parking note (like the level in the parking garage) or a meter timer. 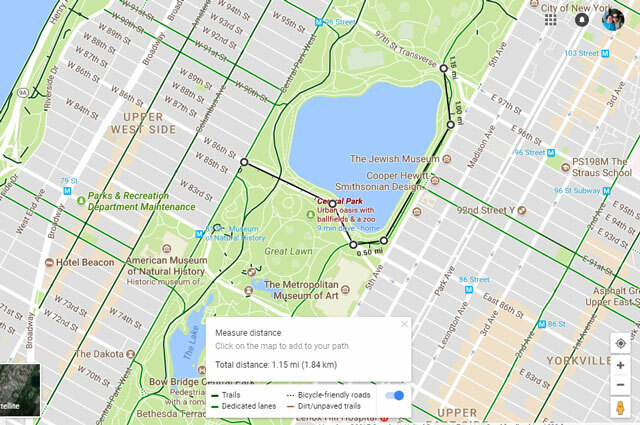 It seems that Google no longer is supporting the addition or updating of ski trails on its maps, so the information available may not be correct. My contact at Google says the maps are continuously updated, including ski trails, and is interested in which areas aren’t being updated. Please provide the areas that are out of date, so I can share the information with Google. Suzanne - Can you send me a link or contact? We have multiple ski area clients that want to add their ski trails. I’ve searched for how to submit the ski trails to no avail - so I really appreciate your input!